ODE Architect is a suite of software tools published by John Wiley & Sons that can be used to supplement learning and enhance understanding in a sophomore ordinary differential equations course. This tool is one of many that have been made possible because of more powerful and widely available computers, but more importantly because of the growing infrastructure of mathematicians able to utilize their full capabilities. The classical obstacles to students in trying to understand differential equations is the difficulty in achieving an intuition for what the solution should be from looking at the equation. Most of us, having learned the subject in the traditional way, have a limited toolkit of examples that we truly understand. Unlike Maple and Mathematica, products that solve differential equations analytically or numerically, ODE Architect is a specific tool that focuses on qualitative aspects of numerical solutions. Three distinct features highlight this package, the Discrete Tool for finding fixed points and fractals, the ODE Architect Tool for visualizing solutions to one-, two-, and three-dimensional systems, and the Model Builder Tool for building, animating, and analyzing physical representations of dynamical systems. The Discrete Tool performs fixed-point iterations, producing spider or ladder diagrams. For example, the user inputs relation x=f(x), and some initial value x0. Discrete Tool computes the iterates xn+1= f(xn) and graphs them in the xy-plane together with the function y=f(x) and the line y=x. While this tool is not as sophisticated as the other two, it is the only tool of its kind available for this type of plot. Additionally, Discrete Tool can be used to compute dimensional fixed-point plots and will also generate fractals with complex iterations. The second tool, the ODE Architect Tool, is a remarkable piece of software to help students beginning to learn the geometry of ODE solutions. The main screen is divided into three sections. The first is for the user input of the differential system itself. It may contain parameters, which must also be numerically defined. The second section is a control panel where initial conditions are entered and the system is solved. The third section displays the solution. For example for the system x.=cy and y.=d x, with both c and d defined and initial conditions entered, one of the multitude of displays available is the solution graphs in the tx- and ty-planes. Alternatively, the solution graph in the xy-plane is available. The result is the family of solutions in the ty-plane. A similar family of solutions is in the tx-plane. It is also possible to animate the solution, that is, to watch the solution traced out over time (t). An especially well-conceived feature is that solutions compound on the graph; the viewer sees all solutions to date, even if the differential equation is changed. Of course, from time to time it becomes necessary to Clear All Runs and begin anew. Many other user controls such as line width and color are available to enhance the output view. Plots, which copy and paste in vector mode, can be scaled as needed. They can also be annotated. The avid Maple user may claim that Maple can do this just as well, and in some cases better, than the Sweep tool. While it is true that an experienced Maple user could write a package, say MapleArchitect, to do this for the student, ODE Architect is a specialized tool with an intuitive interface that puts control in the hands of the student–an important advantage. The third tool in ODE Architect suite is the Model Builder, and the features of this tool are definitely not possible within the Maple engine. 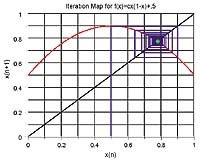 In brief, the Model Builder allows users to link properties such as location and rotation of graphics objects with the dynamic variables in a system of ordinary differential equations. The Model Builder helps users make deeper connections between a system of differential equations and the physical model that it represents. While there is a tutorial to get the user started, this tool is not easy to use. In summary, while ODE Architect is overall simple to use, some of the parameters are difficult to set. There is a definite learning curve, but one that most students can navigate. The program contains an extensive library of existing systems, single ODEs and models ready-made and easily modified, and an accompanying report writer (actually WordPad) is built in. Here students can copy and annotate plots they have made, fill in text, and create reports. Students and faculty giving ODE Architect a fair chance will be impressed with its performance and versatility.